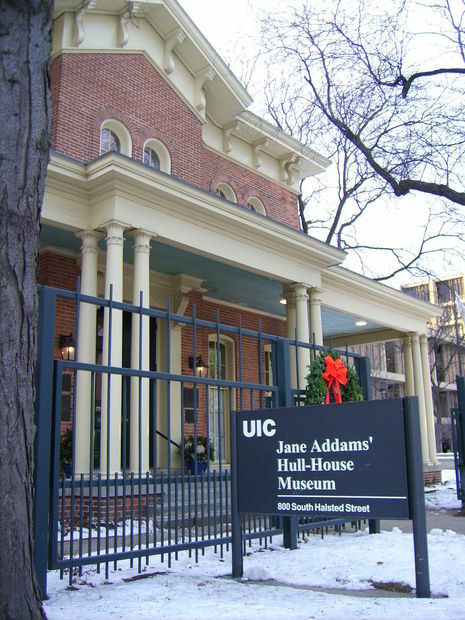 Born in Cedarville, Illinois, Jane Addams was the youngest of six children born into a prosperous, loving family. Although she was the eighth child, two of her siblings died in infancy, leaving only six to mature. Her mother, Sarah Addams (née Weber), died from tuberculosis during pregnancy when Jane was just two years old. Jane's father, John H. Addams, was the President of The Second National Bank of Freeport, an Illinois State Senator from 1854 to 1870, and owner of the local grain mill. He remarried when Jane was eight. Her father also was a founding member of the Republican Party and supported Abraham Lincoln. Jane was a first cousin twice removed to Charles Addams, noted cartoonist for The New Yorker. She was born with Pott's disease, which caused a curvature of her spine and lifelong health problems. Addams's father encouraged her to pursue a higher education, but not at the expense of losing her femininity and the prospect of marriage and motherhood, as expected of upper class young women. She was educated in the United States and Europe, graduating from the Rockford Female Seminary (now Rockford College) in [Rockford, Illinois]. After Rockford, she spent seven months at the Women's Medical College of Philadelphia, but dropped out. Her parents felt that she should not forget the common path of upper class young women. After her father's sudden death, Addams inherited $50,000. In 1885, she set off for a two-year tour of Europe with her stepmother. Upon her return home, she felt bored and restless, indifferent about marriage, and wanting more than just the conventional life expected of well-to-do ladies. After painful spinal surgery, she returned to Europe for a second tour in 1887, this time with her best friend Ellen Starr and a teacher friend. During her second tour, Addams visited London's Toynbee Hall, which was a settlement house for boys based on the new philosophy of charity. Toynbee Hall was Addams's main inspiration for Hull House. Throughout her life Addams was close to many women and was very good at eliciting the involvement of women from different classes in Hull House's programs. Her closest adult companion and friend was Mary Rozet Smith, who supported Addams's work at Hull House, and with whom she shared a romantic friendship. Together they owned a summer house in Bar Harbor, Maine. According to one biographer Addams was raised as a Quaker but joined a Presbyterian church in Chicago and maintained her membership there as an adult. Nicholas Murray Butler (April 2, 1862 – December 7, 1947) was an American philosopher, diplomat, and educator. Butler was president of Columbia University, president of the Carnegie Endowment for International Peace, and a recipient of the Nobel Peace Prize. He became so well-known and respected that The New York Times printed his Christmas greeting to the nation every year. Butler was born in Elizabeth, New Jersey to Mary Murray Butler and manufacturing worker Henry Butler. He enrolled in Columbia College (later Columbia University) and earned his Bachelor of Arts degree in 1882 at the age of twenty, his master's degree in 1883, and his doctorate in 1884. Butler's academic and other achievements led Theodore Roosevelt to call him "Nicholas Miraculous." In 1885, Butler studied in Paris and Berlin and became a lifelong friend of future Secretary of State Elihu Root. Through Root he also met Roosevelt and William Howard Taft. In the fall of 1885, Butler joined the staff of Columbia's philosophy department. 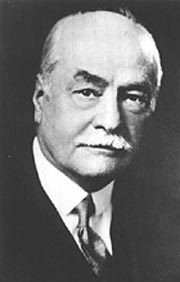 In 1887, he co-founded, and became president of, the New York School for the Training of Teachers, which later affiliated with Columbia University and was renamed Teachers College, Columbia University, and from which a co-educational experimental and developmental unit became Horace Mann School. From 1890 to 1891, Butler was a lecturer at Johns Hopkins University in Baltimore. Throughout the 1890s Butler served on the New Jersey Board of Education and helped form the College Entrance Examination Board. 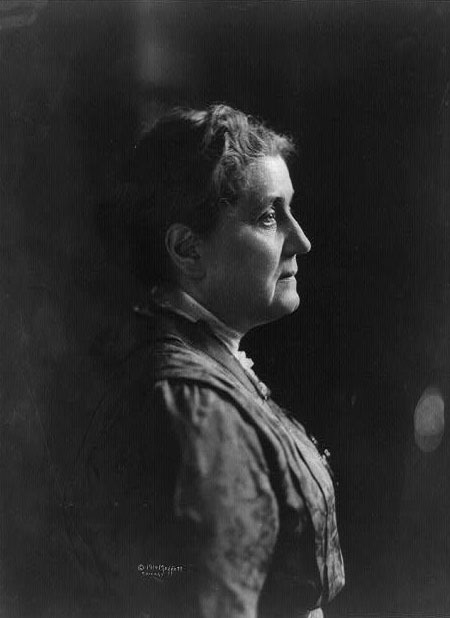 Jane Addams (September 6, 1860 – May 21, 1935) was a founder of the U.S. Settlement House movement, and the second woman to be awarded the Nobel Peace Prize. Later, during her travels, she would spend time meeting with a wide variety of diplomats and civic leaders and reiterating her Victorian belief in women's special mission to preserve peace. Recognition of these efforts came with the award of the Nobel Peace Prize to Addams in 1931. As the first U.S. woman to win the prize, Addams was applauded for her "expression of an essentially American democracy." Jane Addams was a world renowned social worker. Most connected with her work in Chicago with Hull House, she worked for peace and freedom, justice and equality tirelessly in many arenas her entire, very long life. Jane Addams won the Nobel Peace Prize in 1931. She was the first American woman to win this prestigious award. She is considered by many to be the "mother " of modern social work.